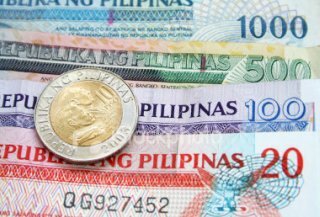 The history of the Philippine peso started during Spanish colonial period. Coined money was brought by the Spaniards when they came in 1521. Since then, a number of modifications were documented. An attempt to standardize the currency in the Philippines was made by the Spanish government with the minting of a silver peso expressly for use in the colony and firmly reestablishing the silver standard as the Philippine monetary system. The coin, which was to be later known as the Spanish-Filipino peso, was minted in Madrid in 1897 and bore the bust of King Alfonso XIII. Asserting its independence after the Philippine Declaration of Independence on June 12, 1898, the Philippines, under General Emilio Aguinaldo, issued its own coins and paper currency backed by the country’s natural resources. The coins were the first to use the name centavo for the subdivision of the peso. After Aguinaldo's capture by American forces in Palanan, Isabela on March 23, 1901, the revolutionary Philippine peso ceased to exist. After the United States took control of the Philippines, the United States Congress passed the Philippine Coinage Act (March 3, 1903), which fixed the weight and fineness of Philippine coins. The peso was defined as being equal to exactly half the gold content of the U.S. dollar, as defined by the US Coinage Act of 1849. In 1942, the Japanese occupiers introduced notes for use in the Philippines. Emergency circulating notes were also issued by banks and local governments, using crude inks and materials, which were redeemable in silver pesos after the end of the war. The Japanese-sponsored Second Philippine Republic under José P. Laurel outlawed possession of guerrilla currency and declared a monopoly on the issuance of money and anyone found to possess guerrilla notes could be arrested. Because of the fiat nature of the currency, the Philippine economy felt the effects of hyperinflation. U.S. and Philippine forces continued printing Philippine pesos, so that, from October 1944 to September 1945, all earlier issues except for the emergency guerrilla notes were considered illegal and were no longer legal tender. Republic Act No. 265 created the Central Bank of the Philippines (CBP, now the Bangko Sentral ng Pilipinas) on January 3, 1949, in which was vested the power of administering the banking & credit system of the country. Under the act, all powers in the printing and mintage of Philippine currency was vested in the CBP, taking away the rights of the banks such as Bank of the Philippine Islands and the Philippine National Bank to issue currency. In 1861, gold coins were issued for 1, 2 and 4 pesos. These were equal in gold content to the earlier Spanish coins of ½, 1 and 2 escudos. Silver coins were minted from 1864 in denominations of 10, 20 and 50 centimos de peso, with silver 1-peso coins issued in 1897. During the Revolutionary period, coins were issued in copper for 1 and 2 centavos and 2 centimos de peso. In 1903, a new coinage was introduced. It consisted of bronze ½ and 1 centavo, cupro-nickel 5 centavos and silver 10, 20 and 50 centavos and 1 peso. The silver coins were weight related to the Philippine peso which was minted in .900 fineness and contained 374.4 grains of silver. U.S. gold coins and ½ and 1 peso coins were legal tender for any amount, with 10 and 20 centavos coins being legal tender up to 20 pesos and smaller coins up to 2 pesos. The sizes and finenesses of the silver coins were reduced in 1907, with the peso now a 20 gram coin minted in .750 silver. Production of the 1 peso coin ceased in 1912 and that of the 50 centavos in 1921. Denominations below 1 peso are still issued but are not in wide use. In December 2008 a Philippine Congressional resolution called for the retirement and demonetization of all coins less than one Philippine peso.